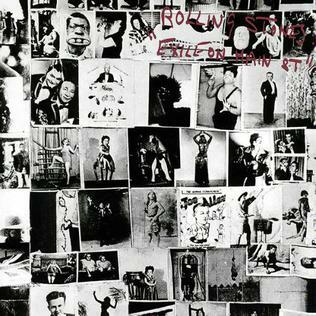 The image shown above is the album cover of the Rolling Stones' 1972 album, "Exile on Main St." Upon its initial release, this album, while enjoying substantial sales, received very mixed reviews from rock music critics. Time has viewed this album kindly, however, and the album now is generally considered to be one of the greatest rock albums of all time. The album was re-released yesterday in a remastered format with several previously unreleased demos and other features, creating quite a media buzz. So what, you may be asking, do the Rolling Stones and this album have to do with performance measurement or the CIPM designation? When I was growing up, for a long time my desired career choice was to become a rock radio DJ (fortunately, I did not pursue this path, as rock radio has essentially died and DJ has a completely different meaning in today's world). Thus, I like to reflect on music and related events and their broader meaning. A couple of thoughts come to mind with respect to the Rolling Stones that remind me of performance measurement. First, when watching old interviews of the Rolling Stones, one of the things that is striking is the frequent comments that the members of the band did not set out with a plan to have a career doing rock music. They certainly did not intend to be playing music 10 years later, let alone 20, 30, 40 plus years later! Quite similar to performance analysts, really... virtually all of us that are doing performance measurement ended up doing so somewhat accidentally. Granted, the reasons we first opened our spreadsheets to calculate time-weighted returns are likely different from what drove Keith Richards to pick up a guitar... but, I think many of us share the fact that we didn't expect to be doing performance analysis 10 or 20 years later. How serendipitous for us, and Mr. Richards! Perhaps more importantly, though, is the longevity aspect of the Rolling Stones career. People are fond of debating which band was the greatest ever - the Beatles or the Rolling Stones. I definitely favor the Beatles in that debate, as no other band (in my opinion) came close to extending rock music from a form of entertainment to a true form of artistic expression, at a critical juncture in time. But, at the same time, I think the greatest legacy of the Rolling Stones is their longevity and their professionalism. Don't be fooled by the guitars, the sneers, the leather... these guys go out on a regular basis and do what they do, and they do it well. Professionalism and doing one's job well, day-in and day-out, are so important to enabling a job that someone does to become a viable career. Musicians of many genres benefit because the Rolling Stones carry on, doing their work well. And that is a lot of what the CIPM designation is about. Yes, we need to know how calculate returns, risk and attribution, just like a guitarist needs to know how to play certain notes, chords and techniques. But just as important, perhaps more important in the long run, is the professionalism that we bring to our daily work, and the ethics. That is how we add value to our niche and the broader investment industry, and doing so is in the long-term interest of us all.